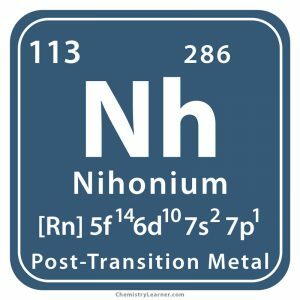 Nihonium (pronunciation nee-hone-ee-em ), represented by the chemical symbol Nh, is a synthetic, radioactive, transuranium metal [1, 10, 11]. 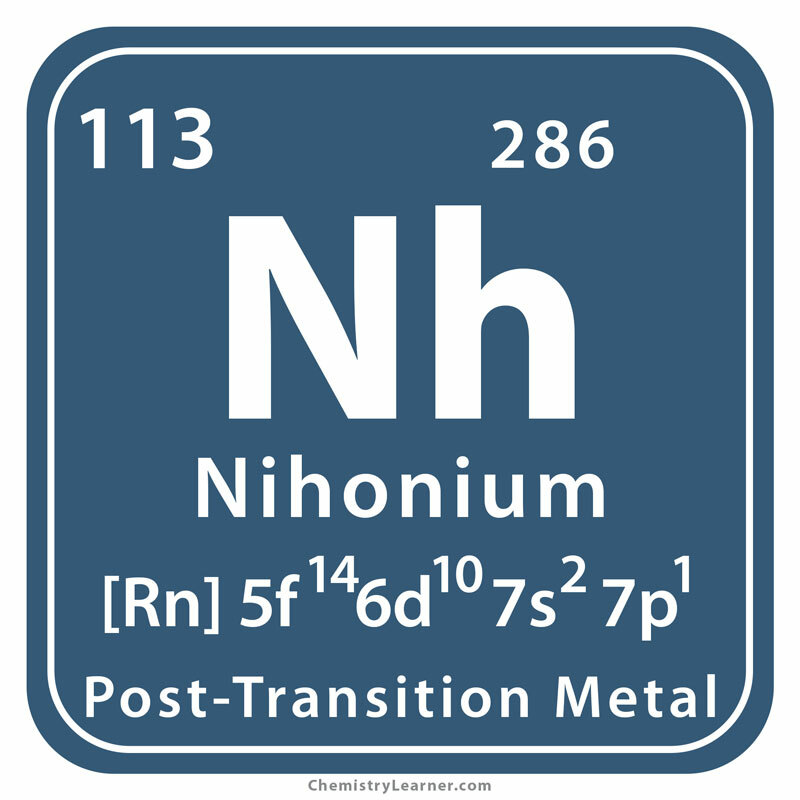 Of its two known isotopes, Nh 284 and Nh 286 , the latter is more stable with a half-life of 20 seconds . The super heavy element cannot be found naturally on earth. A tiny amount has been synthesized in labs [1, 3]. Origin of Its Name: It is named after the Japanese name for Japan . Who Discovered It: Scientists from The Institute of Physical and Chemical Research (RIKEN) in Japan . 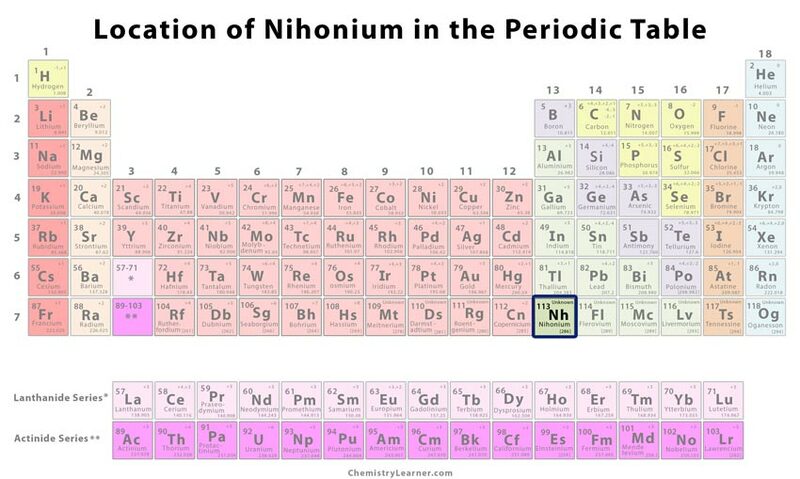 The first two atoms of the element were produced on July 23, 2004, at RIKEN by accelerating zinc ions to make them reach 10% of the speed of light and then allowing them to strike a bismuth target. The atoms were of nihonium 278 that quickly underwent alpha decay to dubnium 262 [2, 3]. The minuscule amount of production of the metal restricts its use to research purposes only . 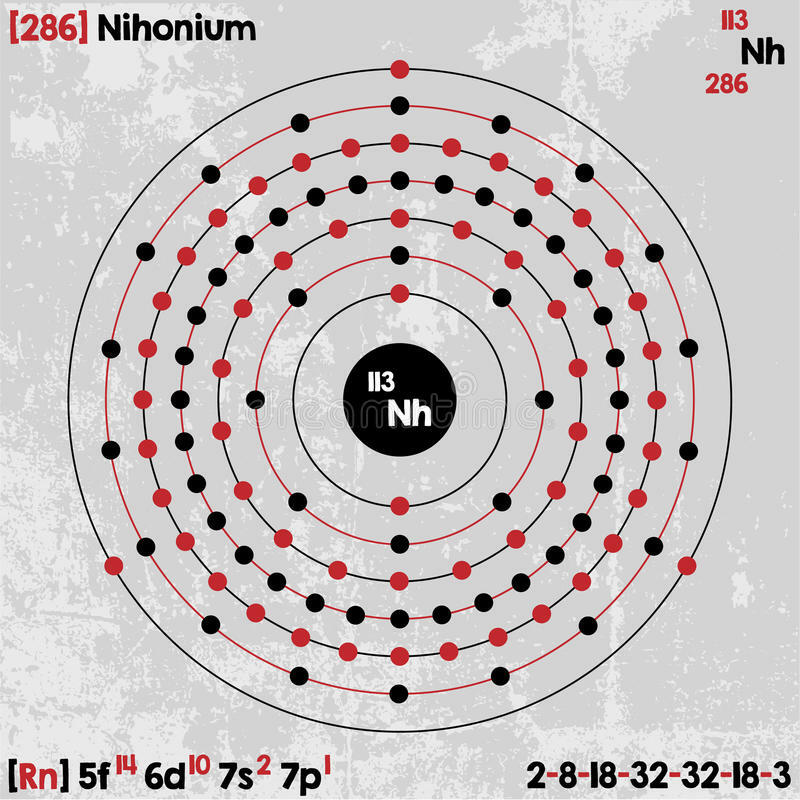 The highly radioactive nature makes it potentially harmful [1, 3]. It was temporarily given the name ununtrium (symbol Uut ) representing its atomic number before being officially named by IUPAC on 28th November 2016 along with moscovium, tenessine and oganesson [6, 7]. The name Japonium was considered for the element by the researchers to emphasize the Japan connection, but the proposal was dismissed since the word Jap is insulting to the Japanese . Unknown as it is not available commercially .